Congratulations on your “Ask Uncle Chico # 157” (see in English https://filabrasileirochicopeltierblog.wordpress.com/2017/07/19/post-487-ask-uncle-chico-157-balance-of-the-cafib-achievements-after-the-departure-of-a-few-members-about-the-uninformed-breeder-who-predicted-the-end-of-cafib-in-2014-and-today-ask/ ) showing the tremendous achievements of CAFIB after the departure of a few members and their unlawfulness, which are not refuted by them !!! 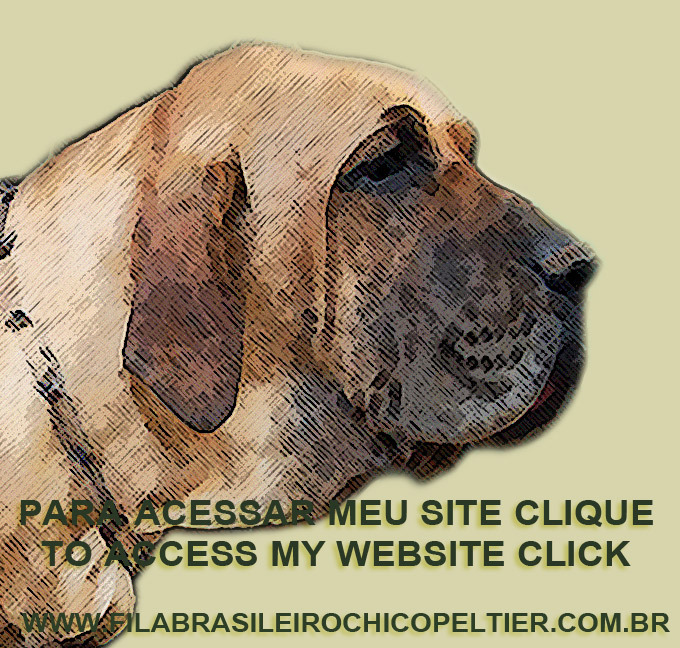 http://www.cafibbrasil.com/leitor_not/items/cafib-official-report-to-owners-and-breeders-of-fila-brasileiro-in-brazil-and-abroad.html and http://www.cafibbrasil.com/leitor_not/items/expulsion-or-self-dismissal-of-former-directors-of-cafib.html ). They went out by the back door … Taking with them immorally and unlawfully a large part of the CAFIB assets and patrimony. A shame !!! I do not understand how others breeders can follow this group. My dear Chico, see how foolish and uninformed are some FB breeders… They believe in half-truths posted by Anfibra … On facebook they asked members of this club if they already had their own breed standard and when it was drawn up and released. They received only two very vague response from two very competent members of this club: “…it has been available on the Amfibra website for some time…” and “… the Amfibra posted its standard for almost a year…”. In this conversation they hinted until you passed on wrong information. But as everyone who updates on the events connected with the FB knows, if were not for Uncle Chico`s vehement and insistent charges for more than six months this standard would not yet exist. It took Uncle Chico a lot to demand that Anfibra cease to be the only independent dog club in the world without its own standard. In addition, the lie does not support itself: if it were true that “… the Amfibra posted its standard for almost a year…” for at least two and a half years, Anfibra’s activities, events, expos, championships and pedigree sales were been held in this club without the existence of STANDARD!!! That is: they agree with Uncle Chico !!! 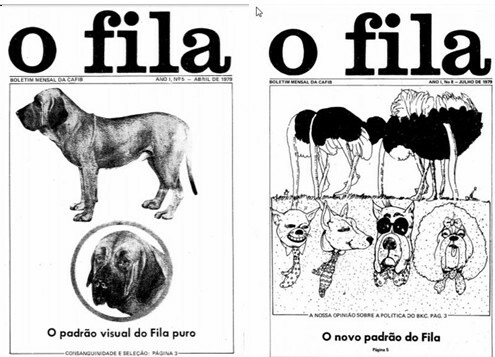 As we talked about for decades, one of the biggest problems of the FB is the fact that many of its breeders are lazy to read and study … Many still remain uncultured about the True History of Fila Brasileiro or are functional illiterates unable to read and correctly understand the texts regarding the FB. For this I received the ironic title of FATHER OF THE ANFIBRA STANDARD !!! Anfibra held its events for three years WITHOUT STANDARD !!! It was the only independent dog club in the world that did not have its own breed standard !!! But Uncle Chico was also the first to announce that Anfibra had finally come up with its own standard. This fact occurred on Jan, 29th.-2017. This is so true that Anfibra was questioned few months ago by Mr. Renato Ferreira da Rocha via facebook if this club accepted the so-called “black-fila” that he is trying to reinvent. Some members of this club entered in such facebook, were very aggressive and arrogant with Mr. Renato, but could not answer it based on their explanation in the Anfibra Standard, since it did not yet exist … A foolish Anfibra member answered even quoting the CAFIB Standard CAFIB !!! A great mess … !!! But this group of breeders is very lazy to read and study … And naively accepted these half-response posted that “… it has been available on the Amfibra website for a some time…” and “…the Amfibra posted its standard for almost a year… “. After all, the question is simple: at what exact date was the Anfibra standard approved, posted and disclosed? Why was it not widely publicized ? For you to study more details about these lies of Anfibra´s members just search in English in Uncle Chico blog (https://filabrasileirochicopeltierblog.wordpress.com/ ) with dozens of articles strongly charging the making and disclosure of Anfibra standard. 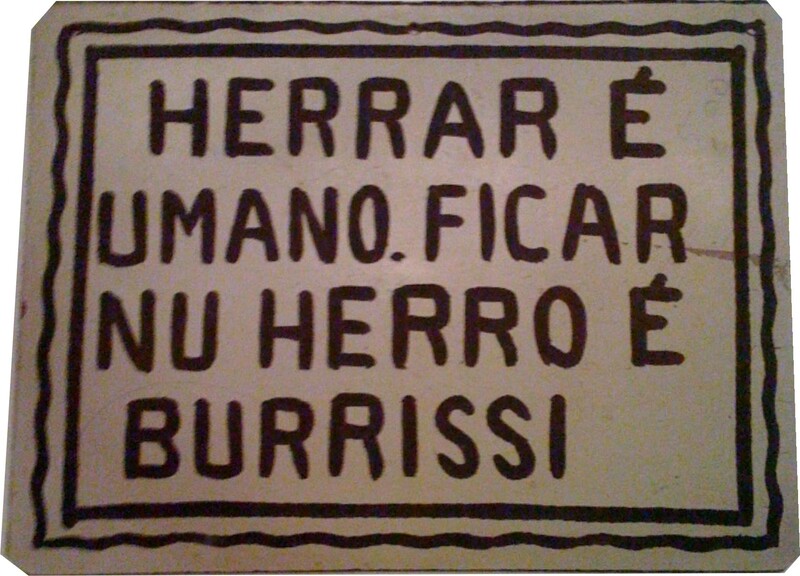 Just go to my blog on “search” (= “buscar” in portuguese) , write “Anfibra standard” or “quinzinho” and give an “enter“. This is why Uncle Chico is also known as the “FATHER OF THE ANFIBRA STANDARD“. I challenge Anfibra to prove that Uncle Chico is wrong !!! Uncle Chico, incredible how from time to time appears a new “genius-FB savior-type knows best everything” of the FB with fantastic and incredible ideas. Some even reinventing via primary and elementary experiences the depleted and expired validated dog called “black-fila“. These people do not help the FB. They just backsliding and delay, right? Perfect. In my 43 years in close contact with the FB I saw many people come from nowhere and fall from parachutes in the FB, inventing new theories and spreading lies. They do their silly things and then they disappear… And CAFIB has to clean this big mass. Uncle Chico, this is very funny: the whole world uses the Google translation tool, even the former “translator and modifier”, but Uncle Chico cannot use… Lol !!! But for this group of disgruntled perpetual critics for years, I suggest that you create your own Fila Club, with its clear rules and objectives, to publicize your work philosophy and thus win your members and followers. But please have at least its one Standard… And leave the CAFIB in peace... !!! In other words: they do nothing, they build nothing productive and they continue to live in the shadow of CAFIB’s success. But they keep on complaining about peripheral matters, without importance and with their half-truths … And this nothing helps in the preservation of the PURE Fila !!! Congratulations Uncle Chico ! Your article “Ask Uncle Chico # 157” (see in English in https://filabrasileirochicopeltierblog.wordpress.com/2017/07/19/post-487-ask-uncle-chico-157-balance-of-the-cafib-achievements-after-the-departure-of-a-few-members-about-the-uninformed-breeder-who-predicted-the-end-of-cafib-in-2014-and-today-ask/ ) is another text of very high quality and very enlightening !!! 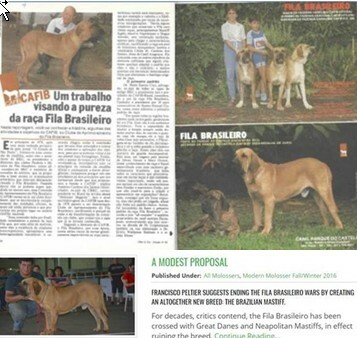 Never be discouraged, because your work is fundamental and indispensable for those who wants to know, to have or to breed the True Fila Brasileiro and its True History! Please keep firm, my friend ! A big hug from Florianópólis (a lovely city in the South of Brazil) ! Parabéns pelo seu Perguntem ao Tio Chico nº 157 (vide em https://filabrasileirochicopeltierblog.wordpress.com/2017/07/19/post-486-perguntem-ao-tio-chico-no-157-balanco-das-conquistas-do-cafib-apos-a-saida-de-alguns-poucos-membros-sobre-o-desinformado-criador-que-previu-o-fim-do-cafib-em-2014-e-hoje-pede/ ) mostrando as enormes conquistas do CAFIB após a saída de alguns poucos membros e seus ilícitos, por eles não refutados !!! Eles não têm como discordar do que o CAFIB afirmou e eu apenas relembrei sobre a saída deles. É a mais pura verdade. 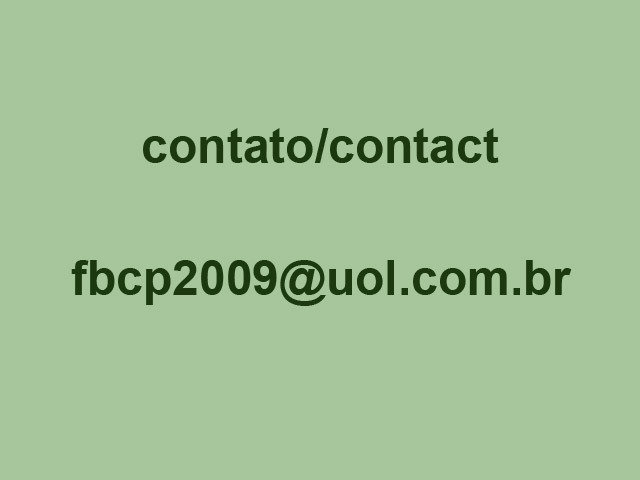 Vide em http://www.cafibbrasil.com/leitor_not/items/comunicado-do-cafib-aos-proprietarios-e-criadores-de-fila-brasileiro-no-brasil-e-no-mundo.html e ainda em http://www.cafibbrasil.com/leitor_not/items/expulsao-ou-auto-desligamento-de-ex-diretores-do-cafib.html ). Eles saíram pela porta dos fundos… Levando consigo imoral e ilicitamente grande parte dos bens e patrimônio do CAFIB. Uma vergonha !!! Não entendo como criadores podem seguir este grupo. Amigo Chico, veja como os criadores de FB tolos e desinformados acreditam em meias verdades postadas pela Anfibra… Num facebook perguntaram a membros deste clube se já tinham seu próprio padrão racial e quando este foi elaborado e divulgado. Resposta muito vaga de dois competentíssimos membros deste clube: “…está disponível no website da Amfibra há tempo…” e “…já vai para quase um ano o padrão postado Amfibra…”. Nesta conversa insinuaram até que voce passava informações erradas. Mas como todos que se atualizam sobre os acontecimentos ligados ao FB sabem, se não fossem suas veementes e insistentes cobranças por mais de seis meses este padrão ainda não existiria. Foi preciso que o Tio Chico reclamasse muito para que a Anfibra deixasse de ser o único clube canino independente do mundo sem padrão. No mais, a mentira tem pena curta: se fosse verdade que “…já vai para quase um ano o padrão postado Amfibra…” há pelo menos dois anos e meio as atividades, expos, campeonatos e vendas de pedigree da Anfibra foram SIM realizados neste clube sem a existência de PADRÂO !!! Ou sejam: eles concordam com o Tio Chico !!! Como conversamos há décadas, um dos maiores problemas do FB é o fato de que muitos dos seus criadores têm preguiça de ler e estudar… Muitos ainda permanecerem incultos sobre a Verdadeira História do Fila Brasileiro ou se tratam de analfabetos funcionais incapazes de lerem e entenderem corretamente os textos a respeito do FB. Por isto recebi o irônico titulo de PAI DO PADRÃO ANFIBRA !!! A Anfibra realizou seus eventos durante três anos SEM PADRÃO !!! Era o único clube canino independente do mundo que não tinha seu próprio padrão racial !!! Mas o Tio Chico foi também o primeiro a divulgar que a Anfibra finalmente tinha elaborado seu próprio padrão. Este fato deu-se em 28/01/17. Tanto que a Anfibra foi questionada poucos meses atrás pelo Sr. Renato Ferreira da Rocha via facebook se este clube aceitava o assim chamado “fila-preto” que ele esta tentando reinventar. Alguns membros deste clube entraram neste facebook, foram muito agressivos e prepotentes com o Sr. Renato, mas não puderam respondê-lo baseando sua explicação no Padrão Anfibra, pois este ainda não existia… Um anfibriano tolo respondeu até citando o Padrão CAFIB !!! Uma grande trapalhada… !!! Mas esta turma de criadores tem muita preguiça de ler e estudar… E aceitam ingenuamente estas meias-resposta postadas de que “…está disponível no website da Amfibra há tempo…” e “…já vai para quase um ano o padrão postado Amfibra …”. Afinal, a pergunta é simples: em que data exata o padrão Anfibra foi homologado, postado e divulgado ? Por que não foi amplamente divulgado ? Para voces estudarem mais detalhes sobre estas mentiras de membros da Anfibra basta pesquisarem no blog do Tio Chico (https://filabrasileirochicopeltierblog.wordpress.com/ ) com dezenas de artigos cobrando veementemente a confecção e divulgação deste padrão. Basta ir no meu blog em “buscar”, redigir “padrão anfibra” ou “quinzinho” e dar um “enter”. Justamente por isto o Tio Chico é conhecido também como sendo o “PAI DO PADRÃO ANFIBRA”. Desafio a Anfibra a provar que o Tio Chico esta errado !!! Chico, incrível como de quando em quando aparece um novo “gênio-salvador-sabe-tudo” do FB com ideias fantásticas e mirabolantes. Uns até reinventando via experiências primárias e elementares o cachorro esgotado e com validade vencida chamado de “fila-preto”. Estas pessoas não levam o FB a lugar nenhum. Salvo ao retrocesso e atraso, certo? Perfeito. Nestes meus 43 anos de FB vi muito gente surgir do NADA e cair de paraquedas no FB, inventando novas teorias e espalhando mentiras. Fazem suas lambanças e depois somem… E somos nós do CAFIB que ficamos aqui para reparar estes erros e trapalhadas. Tio Chico, esta é muito engraçada: o mundo inteiro usa a ferramenta de tradução do Google, até a antiga “tradutora-alteradora”, mas o Tio Chico não pode usar…rsrsrs !!! Mas para esta turma de eternos críticos descontentes há anos sugiro que criem seu próprio Clube de Fila, com suas normas e objetivos claros, que divulguem sua filosofia de trabalho e que, assim, conquistem seus membros e seguidores. Mas que tenham pelo menos um Padrão… E deixem o CAFIB em paz…!!! Ou seja: nada fazem, nada constroem de produtivo e continuam a viver à sombra do sucesso do CAFIB. Mas continuam sempre reclamando de assuntos periféricos, sem importância e com suas meias-verdades… E nisto, nada ajudam na preservação do Fila PURO !!! Parabéns Tio Chico! O seu artigo “Perguntem ao Tio Chico nº 157” (vide em https://filabrasileirochicopeltierblog.wordpress.com/2017/07/19/post-486-perguntem-ao-tio-chico-no-157-balanco-das-conquistas-do-cafib-apos-a-saida-de-alguns-poucos-membros-sobre-o-desinformado-criador-que-previu-o-fim-do-cafib-em-2014-e-hoje-pede/) é mais um texto de altíssima qualidade e muito esclarecedor!!! Nunca desanime, pois este teu trabalho é fundamental e imprescindível para quem quer conhecer, ter ou criar o Verdadeiro Fila Brasileiro e sua Verdadeira História ! Siga firme amigo, ok ? Um grande abraço, aqui de Floripa ! Uncle Chico is the “FATHER OF THE ANFIBRA STANDARD” !!! My dear friend Chico, could you make a balance of the CAFIB achievements after the departure of a few members about 3 years ago? But I preferred to forward it to the Secretariat and Executive Administration of CAFIB, as they follow more closely the administration of the Club. Launching in less than two weeks the new CAFIB website (http://www.cafibbrasil.com/ and www.cafib.org.br ), shortly after it was stolen by members who left CAFIB. It was created in record time by Américo Cardoso dos Santos Neto. It is much more complete, with a clean, modern and elucidative look, that identifies with our club, of quick and easy navigability, that discloses the main events, is constantly updated and it provides information about our CAFIB Breeding Philosophy, Standard and Regulation in force since 1978, as well as our Expos and its results, newsletter, articles and all numbers of the newspaper O FILA, edited by Luiz Antonio Maciel. CAFIB website has also many of its materials translated into English and Spanish. Explanatory note: our original website as well as its password have been stolen; together with the genealogical pedigree program; files with the results of CAFIB Expos and annual championships; the result of 35 years of work done by CAFIB; several documents such as approximately 5,000 Analyzes (AFT) and respective photos, data of Expos and events; newsletter; hundreds of newspapers O FILA and other assets that still form the patrimony of CAFIB and have never been returned by those who left the CAFIB. That is, they stole part of our property in an immoral and illicit manner. 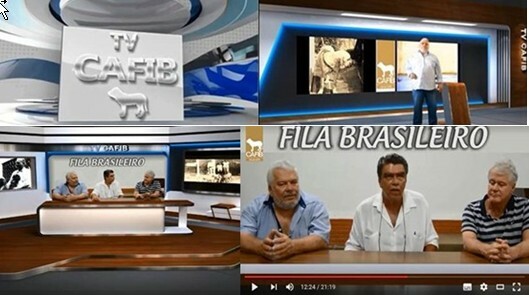 Anyway, people who claimed that they would revolutionize and innovate the breeding of the Fila Brasileiro, but besides having stolen CAFIB, they do nothing but copy this Club… Including our Standard !!! The grateful return to our Expos of Dr. José Gonçalves Franco Jr, one of the first CAFIB judges. Explanatory note: the arrival of new breeders with good Fila Brasileiro (FB) that started to gain CAFIB Expos was not accepted by the members who left our Club, as they wanted to continue to win in any way and at any cost the CAFIB Expos and Championships. Even trying to maneuver and intervene in the correct performance of the Temperament Test, according to videos received in our possession as a complaint, to the detriment of the important renovation of the new FB and their breeders. 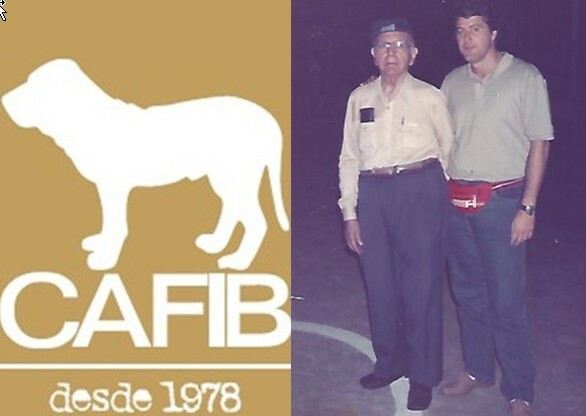 (*) Flavio Pires is an emblematic case, since after many years as a traditional CBKC-FCI, member he abandoned these two notaries clubs and the breeding of the so-called “black-fila”, becoming an important CAFIB breeder, bringing many new supporters for our Club and was also responsible for the organization of the last Jacareí Expo with great success . 11.The world recognition that CAFIB is undoubtedly the best and only specialized club in the world regarding the Fila Brasileiro, since there was no way to compare it. And today it has. Even if it is with a club just COPIER-STEALER. That is, with a club that took more than 3 years to work out its own Standard. That is, a club that registered, sold pedigrees, held events, expos and championships, etc… WITHOUT A STANDARD !!! What is undoubtedly something totally unheard in the dog world !!! See more details on the Uncle Chico blog (https://filabrasileirochicopeltierblog.wordpress.com/ ) with dozens of articles in English strongly charging the making of this Standard. Just go on the “search/buscar“, write “Anfibra standard” or “quinzinho” and give an “enter“. This is why Uncle Chico is also known as the “FATHER OF THE ANFIBRA STANDARD“. Explanatory note: some of the members who left CAFIB also failed to accept the success of the Canil Itanhandu on the tracks, in its breeding, as well as in this excellent and very educational website above, praised even by CBKC-FCI breeders. CAFIB does not have titles of breeders champions, that in other clubs are distributed even in each exposition or “sold” against the payment of a registration fee … The CAFIB has an extremely valuable title, very disputed and difficult to be conquered, that Is the Breeder of the Year. Besides this, CAFIB only has 2 titles of Champions per year: Brazilian Male Champion and Female Champion. As a didactic example, I remember the former breeder Paulo Angotti, owner of the unforgettable Canil Ibituruna/MG, to this day one of the most awarded of CAFIB, who accepted to pass his champion baton without problems, traumas, political and persecutions for newcomers new breeders… Just like many other breeders of CAFIB, among them Canil Serra Dourada of Luciano Gavião, Canil Itapuã of Giovani Éder Carvalho, Canil Araguaya of Américo Cardoso dos Santos Jr. and Canil Parque do Castelo of Campbell Family. These and many other CAFIB breeders are synonymous with seriousness and honesty on and off the tracks… Of dedication to the True and PURE Fila Brasileiro and to the CAFIB above their dogs and kennels. In addition to all these conquests narrated above CAFIB, through our dear Uncle Chico, was considered the “FATHER OF THE ANFIBRA STANDARD” since after six months of his vehement and persistent charges the Anfibra finely woke up, raised his sleeves, decided to work a little and elaborated / copied his (sic) Standard and ceased to be the only specialized dog club in the world without having his own breed Standard … ??? !!!. See more details as per instructions in item # 7 above. The concrete and irrefutable fact, my friends, is that the CAFIB Old Guard with the indispensable help of the new members, saved, maintained and preserved the legacy of our beloved CAFIB Master of Breeding, Dr. Paulo Santos Cruz. CAFIB is the only club that rescued from extinction and perpetuated the TRUE and PURE FILA BRASILEIRO. Airton, Rose and Mariana Campbell, Américo an Cleide Cardoso dos Santos, Luiz Antonio Maciel, Roberto e Marilia Maruyama, Marilda Mallet, Arthur Verlangieri, Luciano and Denise Gavião, Pedro Borotti, Jorge and Marisa Hino, Jose Souto Maior Borges, Zito Hermanny, Antonio Silva Lima, Christofer Habig, Jonas Tadeu Iacovantuono, Sebastião Monteiro e Walter Nunes (in memorian), Lineu Siqueira, Antonio da Silva Lima, Sergio Salgado de Oliveira, Edmundo Contador Brandão, Bernadete Soares de Oliveira, José Gonçalves Franco Junior, Giovani Éder Carvalho, Paulo Angotti, Jose Hamilton Alves Pereira, Iliano Pinto Ribeiro, Marcus Villasboas Moreira, Romero Tostes Pinto e Ernani Santa Rita (in memorian), Marília Barroso Pentagna; Fabiano Nunes, Gerson and Cintia Junqueira, Carlos Feijó, Antonio Alves Freire, Vicêncio Lomba Lima, Helio Touriel, Augusto and Marilia Canizza, Evandro Ballesteros, Gustavo Ribas, Helson Lemos, Jaime Pérez Marhuenda and Elvira Pizones Fernández, Inês Van Damme, Daniel Balsas and Aniello Aliberti, as well as journalists Paulo Roberto Godinho and Antonio Carvalho Mendes (in memorian). Tio Chico é o “PAI DO PADRÃO ANFIBRA” !!! Amigo Chico, voce poderia fazer um balanço das conquistas do CAFIB após a saída de alguns dos seus membros há aproximadamente 3 anos atrás ? Mas preferi encaminha-la para a Secretaria e Administração Executiva do CAFIB, pois eles acompanham mais de perto a administração e o dia a dia do Clube. Lançamento em menos de duas semanas do novo site do CAFIB (http://www.cafibbrasil.com/ e www.cafib.org.br ), logo depois deste ter sido furtado por membros que saíram do CAFIB. Foi criado em tempo recorde por Américo Cardoso dos Santos Neto. É muito mais completo, com visual limpo, moderno e elucidativo, que se identifica com nosso clube, de rápida e fácil navegabilidade, que divulga os principais acontecimentos, é constantemente atualizado e disponibiliza informações sobre nossa Filosofia de Criação, Padrão e Regulamento vigentes desde 1978, bem como nossas Expos e seus resultado, circulares, artigos e todos os números do jornal O FILA, editados por Luiz Antonio Maciel. Possui ainda muitas de suas matérias traduzidas para o inglês e espanhol. Nota explicativa: o nosso site original assim como sua senha foram furtados; juntamente com o programa de registro genealógico para emissão de pedigrees; arquivos com o resultados de exposições e dos campeonatos anuais, resultado de 35 anos de trabalho do CAFIB; ​documentos diversos como aproximadamente 5.000 análises e respectivas fotos, dados de exposições e eventos; circulares; centenas de jornais O FILA e outros bens que ainda formam o patrimônio do CAFIB e nunca foram devolvidos por aqueles que saíram do CAFIB. Ou seja, furtaram de forma imoral e ilícita parte de nossa propriedade. Enfim, pessoas que apregoavam que iriam revolucionar e inovar a criação do Fila Brasileiro, mas que além de terem furtado o CAFIB, nada fazem além de copiar este Clube… Inclusive nosso Padrão !!! O grato retorno as nossas pistas do Dr. José Gonçalves Franco Jr, nosso querido Franquinho, um dos primeiros juízes do CAFIB. Aumento do numero de antigos e novos expositores nas pistas, já que o CAFIB continuou “passando o bastão” naturalmente para os novos canis e criadores. Nota explicativa: a chegada de novos criadores com bons exemplares que passaram a ganhar expos do CAFIB não era aceito pelos membros que saíram do nosso clube, pois estes desejavam continuar a vencer de qualquer maneira e a qualquer custo as Expos e Campeonatos do CAFIB. Inclusive tentando manobrar e intervir na correta realização do Teste de Temperamento, conforme vídeos em nosso poder recebidos como denuncia, em detrimento da tão importante renovação dos exemplares e dos seus criadores. (*) Flavio Pires é um caso emblemático, pois depois de muitos anos como ativo sócio do CBKC-FCI, abandonou estes dois sistemas apenas cartoriais e a criação do chamado ”fila-preto”, se tornando importante criador do CAFIB, trazendo inclusive muitos novos adeptos para o nosso clube e organizando as últimas Expo de Jacareí com grande sucesso. Reconhecimento mundial de que o CAFIB é sem dúvida, o melhor e único clube especializado do mundo na Raça Fila Brasileiro, já que antigamente não se tinha como fazer comparação. E hoje tem. Mesmo que seja com um clube apenas COPIADOR-FURTADOR. Ou seja, com um clube que demorou mais de 3 anos para elaborar seu próprio padrão racial. Isto é, um clube que registrou, vendeu pedigrees, realizou eventos, expos e campeonatos, etc… SEM TER UM PADRÃO !!! O que trata-se sem dúvida de algo totalmente inédito na cinofilia mundial !!! Vide mais detalhes no blog do Tio Chico (https://filabrasileirochicopeltierblog.wordpress.com/ ) com dezenas de artigos cobrando veementemente a confecção deste padrão. Basta ir no “buscar”, redigir “padrão anfibra” ou “quinzinho” e dar um “enter”. Justamente por isto o Tio Chico é conhecido também como sendo o “PAI DO PADRÃO ANFIBRA”. Nota explicativa: alguns dos sócios que saíram do CAFIB também não conseguiram aceitar o sucesso do Canil Itanhandu nas pistas, na sua criação, assim como neste seu excelente site muito didático e educativo acima, elogiado até por criadores do CBKC-FCI. O CAFIB não tem títulos de criadores campeões, que em outros clubes são distribuídos até em cada exposição ou “vendidos” contra o pagamento de uma taxa de inscrição… O CAFIB tem um título extremamente valioso, disputadíssimo e dificílimo de ser conquistado, que é o de Criador do Ano. Além deste o CAFIB só tem 2 títulos de campeões por ano: Campeão e Campeã Brasileiros. Como exemplo didático, lembro Paulo Angotti, proprietário do inesquecível Canil Ibituruna, até hoje um dos mais premiados do CAFIB, que aceitou passar o seu bastão de campeão sem problemas, traumas, politicagem e perseguições para os recém chegados novos criadores… Assim como muitos outros criadores do CAFIB, entre eles o Canil Serra Dourada de Luciano Gavião, o Canil Itapuã de Giovani Éder Carvalho, o Canil Araguaya de Américo Cardoso dos Santos Jr e Canil Parque do Castelo da Família Campbell. Estes e muitos outros criadores do CAFIB são sinônimos de seriedade e honestidade dentro e fora das pistas… De dedicação ao Verdadeiro Fila Brasileiro PURO e ao CAFIB acima de seus cães e canis. Além de todas estas conquistas narradas acima o CAFIB, por meio do nosso querido Tio Chico, foi considerado o “PAI DO PADRÃO ANFIBRA” já que depois de 6 meses de suas veementes e persistentes cobranças a Anfibra finamente acordou, levantou as mangas, resolveu trabalhar um pouco e elaborou/copiou seu (sic) padrão e deixou de ser o único clube canino especializado do mundo sem ter o seu próprio padrão racial … ???!!!. Vide mais detalhes conforme instruções no item nº 7 acima. Tio Chico, é verdade que um criador de Fila Brasileiro que equivocadamente previu o fim do CAFIB em meados de 2014, somente porque um pequeno punhado de membros havia saído do nosso Clube, depois de perceber e constatar o aprimoramento e fortalecimento do CAFIB, solicitou que este Clube realize AFT (Análise de Fenótipo e Temperamento) na sua cidade? O fato concreto e irrefutável, meus amigos, é que a Velha Guarda do CAFIB soube, com a imprescindível ajuda dos novos associados, salvar, manter e preservar o legado do nosso querido Mestre de Criação do CAFIB, Dr. Paulo Santos Cruz. O CAFIB é o único clube que resgatou da extinção e perpetuou o VERDADEIRO CÂO DE FILA BRASILEIRO PURO. Seremos eternamente gratos aos que souberam executar a nobre e ecológica missão de proteger o Fila Brasileiro. Entre eles: Airton, Rose e Mariana Campbell, Américo e Cleide Cardoso, Luiz Antonio Maciel, Roberto e Marilia Maruyama, Marilda Mallet, Arthur Verlangieri, Luciano e Denise Gavião, Pedro Borotti, Jorge e Marisa Hino, Jose Souto Maior Borges, Zito Hermanny, Christofer Habig, Jonas Tadeu Iacovantuono, Sebastião Monteiro e Walter Nunes (in memorian), Lineu Siqueira, Antonio da Silva Lima, Sergio Salgado de Oliveira, Edmundo Contador Brandão, Bernadete Soares de Oliveira, José Gonçalves Franco Junior, Giovani Éder Carvalho, Paulo Angotti, Jose Hamilton Alves Pereira, Iliano Pinto Ribeiro, Marcus Villasboas Moreira, Romero Tostes Pinto e Ernani Santa Rita (in memorian), Marília Barroso Pentagna; Fabiano Nunes, Gerson e Cintia Junqueira, Carlos Feijó, Antonio Alves Freire, Vicêncio Lomba Lima, Helio Touriel, Augusto e Marilia Canizza, Evandro Ballesteros, Gustavo Ribas, Helson Lemos, Jaime Pérez Marhuenda e Elvira Pizones Fernández, Inês Van Damme, Daniel Balsas e Aniello Aliberti, assim como os jornalistas Paulo Roberto Godinho e Antonio Carvalho Mendes (in memorian). Hi Chico, without fanfare, divulgation and in silence Anfibra finally posted on the site its Standard. But it turns out that Jan Kubesa, president of Onceiro Club, an Anfibra partner, recently stated that he used, uses and implied that he will always use the CAFIB Standard. He posted that he understands that the CAFIB Standard is the best and would use it even without CAFIB’s authorization. He claims that in his unilateral and DICTATORIAL understanding – which resembles the outdated and buried Soviet Supreme – the CAFIB Standard would be a universal good (??? !!! ) that would belong “… to all fileiros… ” and that “… it is also part of the spiritual patrimony (??? !!!) of humanity and FB breeding …”, ignoring that it is obviously a patrimony of CAFIB. He even went so far as to quote in an unintelligible way that “… Einstein’s theory of relativity has general validity” (??? !!! ), forgetting the world right to private property protected constitutionally by Law. – “Not everything that faces can be modified, but nothing can be modified until it is faced“. For this reason, Uncle Chico has been fighting since 1974 – initially alone – and for 43 years, against the miscegenation, the first cross-breeders, his first followers, the today called NAM`s ((Neo Apologists of Miscegenation), the trio BKC-CBKC-FCI and its lazy leaders and pseudo “breeders” of “mestizos-filas” of all colors. And for this reason CAFIB is the only club responsible for having rescued the Fila Brasileiro from extinction and preserving it in its racial purity until today. Uncle Chico, unbelievable: Anfibra published in total silence, without divulging its racial standard… Certainly it was because you charged the making of this Standard for months… And because it was very bad for Anfibra to remain the only one independent and specialized dog club in the world not to have its own racial standard. So I ask: based on what standard were judgments, awards, championships, records and pedigree sales performed at this club that for 3 years did not have its racial/breed standard? Can anyone answer me? And now, will some members of Anfibra continue to follow such a Standard Fila Padrão or PSC Standard since they both never existed…? Or will they use the brand new standard ? And what about Jan Kubesa, the Gravedigger of the Anfibra Standard, who posted on facebook who would still use the CAFIB Standard? Uncle Chico, congratulations: besides you have received from CAFIB the title of Father of CAFIB (see plate below), you are also the Father of the Mastin Brasileiro (see my proposal in English http://www.filabrasileirochicopeltier.com.br/novos/pergunte_chico_3/materia_eng.html ) which is the salvation for the Fila and “fila” breed and registered in the CBKC-FCI and also you are now the Father of the Anfibra Standard… Without your vehement and insistent charges this standard would never exist … Congratulations !!! But in the case of the non-existent Anfibra standard has occurred that for three years this club held its events, meetings, judgments, championships, issued and sold pedigrees, informed that they used such a Fila Padrão Standard and then the PSC Standard… But both do not exist (!!! ???). In my blog (https://filabrasileirochicopeltierblog.wordpress.com/) my readers will be able to verify and read several articles explaining this fact correctly. As well as charging a minimum of correction and efficiency to this club until then WITHOUT standard !!!. Just go to “search” on the HP of this blog, write “Padrão Anfibra” or “quinzinho” and give an “enter”. Therefore, I accept this title of Father of the Anfibra Standard, wishing success to this new club. Too bad, but it’s the “pure” truth. As I always said and wrote for decades, there is no future in the PURE Fila Brasileiro breeding inside the notary system CBKC-FCI registry. And as the very famous journalist Paulo Godinho wrote in his book “FB: A Gift from the Stars” sponsored by BKC himself on page 368: “Nothing is more mestizo than a “black-fila“. Grande Chico, sem alarde, divulgação e na moita a Anfibra postou finalmente no site seu padrão. Mas acontece que o Jan Kubesa, presidente do Clube Onceiro, parceiro da Anfibra, afirmou recentemente que usou, usa e deu a entender que sempre usará o Padrão CAFIB. Ele postou que entende que o padrão CAFIB é o melhor e que assim o usaria, mesmo sem autorização do CAFIB. Ele alega que no entendimento unilateral e DITATORIAL dele – que lembra o ultrapassado e enterrado Soviete Supremo– este Padrão CAFIB seria um bem universal (???!!!) que pertenceria “…a todos os fileiros…” e que “…também é parte do patrimônio espiritual (???!!!) da humanidade e cinofilia…”, ignorando que trata-se obviamente de patrimônio do CAFIB. Ele chegou até a citar de forma ininteligível que a “…teoria de Einstein da relatividade tem validade geral” (???!!! ), esquecendo-se do direito mundial à propriedade privada protegida constitucionalmente por Lei. – “Nem tudo que se enfrenta pode ser modificado, mas nada pode ser modificado até que seja enfrentado”. Por isto o Tio Chico enfrenta desde 1974 – inicialmente sozinho – e há 43 anos, a mestiçagem, os primeiros mestiçadores, seus primeiros seguidores, os hoje chamados NAM`s (Neo Apologistas da Mestiçagem), o trio BKC-CBKC-FCI e os dirigentes e pseudo “criadores” de “filas-mestiços” de todas as cores omissos e preguiçosos. E justamente por isto o CAFIB é o único clube responsável por ter resgatado o Fila Brasileiro da extinção e que o preserva em sua pureza racial ate hoje. Tio Chico, inacreditável: a Anfibra publicou na surdina, sem nada divulgar o seu padrão racial… Certamente foi por que voce cobrou a confecção deste Padrão durante meses… E por que pegava muito mal a Anfibra continuar sendo o único clube de cães independente e especializado do mundo a não ter seu próprio padrão racial. Então pergunto: baseado em que padrão foram realizados julgamentos, premiações, campeonatos, registros e vendas de pedigrees neste clube que durante 3 anos não tinha seu padrão racial ? Será que alguém pode me responder ? E agora, será que alguns membros da Anfibra continuarão a seguir o tal Padrão do Fila Padrão ou o Padrão do PSC que nunca existiram…? Ou usarão o padrão novinho? E como fica Jan Kubesa, o Coveiro do Padrão Anfibra, que postou no facebook que continuaria usando o Padrão do CAFIB ? 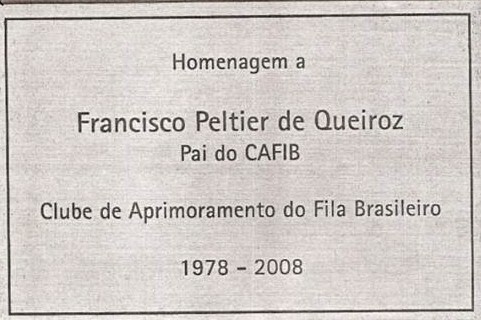 Tio Chico, parabéns: além de voce ter recebido do CAFIB o titulo de Pai do CAFIB (vide placa abaixo), voce também é o Pai do Mastim Brasileiro (vide proposta em… http://www.filabrasileirochicopeltier.com.br/novos/pergunte_chico_3/materia.html ) que é a salvação para o Fila e “fila” criado e registrado no CBKC-FCI e, também, voce é agora o Pai do Padrão da Anfibra… Sem suas veementes e insistentes cobranças este padrão jamais existiria… Parabéns !!! Mas no caso do até então inexistente padrão Anfibra ocorreu que durante três anos este clube realizou seus eventos, reuniões, julgamentos, campeonatos, emitiram e venderam pedigrees dizendo que usavam um tal de Padrão do Fila Padrão e depois o Padrão PSC — apesar de ambos não existirem (!!!???). No meu blog (https://filabrasileirochicopeltierblog.wordpress.com/ ) meus leitores poderão constatar e ler diversos artigos explicando corretamente este fato. Assim como cobrando um mínimo de correção e eficiência a este clube até então SEM padrão !!!. Basta irem em ‘buscar” na HP deste blog, escreverem “padrão Anfibra” e “quinzinho” e darem um “enter”. Logo, durante aproximadamente três anos a Anfibra foi o único clube cinófilo especializado e independente do mundo que não tinha o seu próprio padrão racial !!! Sendo assim, aceito este título de Pai do Padrão Anfibra, desejando sucesso a este clube. Pena que seja a mais “pura” verdade. Alias, como digo e escrevo ha décadas, não existe nenhum futuro na criação do FB Puro no cartório CBKC-FCI. E como escreveu o jornalista Paulo Godinho no seu livro “FB: um Presente das Estrelas” patrocinado pelo próprio BKC na pág. 368: Nada é mais mestiço do que um “fila-preto”.